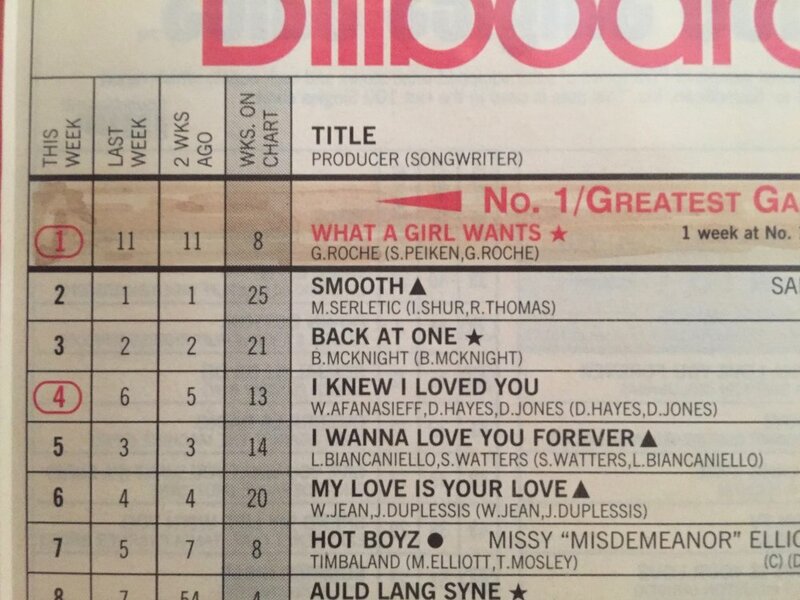 When I first started writing songs professionally I studied the Billboard charts, namely the Hot 100—the Holy Grail. Naturally, I was curious. Who were the writers responsible for the hits—the names in parenthesis after the song title? I had become very familiar with “D. Warren” because that was a name that appeared on that chart all the time. One song fell off…another rose up. Damn! Of course the fantasy floating around in my head was that someday there’d be an “S. Peiken” inside a set of parenthesis…and as close to the top of the chart as possible. Please. And thank you. Rumor had it Diane Warren was a machine. She had a relationship with all the A&Rs and if she didn’t she’d find a way in. She was relentless. Driven. Fearless. Unstoppable. A girl who didn’t take no for an answer. Alpha on steroids. Maybe that’s what it takes. Me? I wrote songs too. But I also rode my bike, trained for the NYC marathon, took a quarter share of a summer house on Fire Island. I dated. Eventually I married and had a child. For my non-music-biz-readers, Diane Warren gave us “Because You Loved Me,” “Blame It On the Rain,” “I Don’t Want To Miss a Thing,” “If I Could Turn Back Time,” “Solitaire” “Unbreak My Heart,” “Rhythm of The Night,” “Nothing’s Gonna Stop Us,” “I Was Here,” “Til It Happens To You.” To name a few. Must I go on? I say this with envy because we songwriters used to joke about including Diane as a co-writer on a song…the hope being—if Clive Davis saw her name on a lyric sheet, he’d take the song more seriously. Send it right off to Whitney. Occasionally when we finally had a song up for first single…it was only a matter of time before we’d get that call—it had been replaced with a Diane Warren song. This became the bane of our existence. 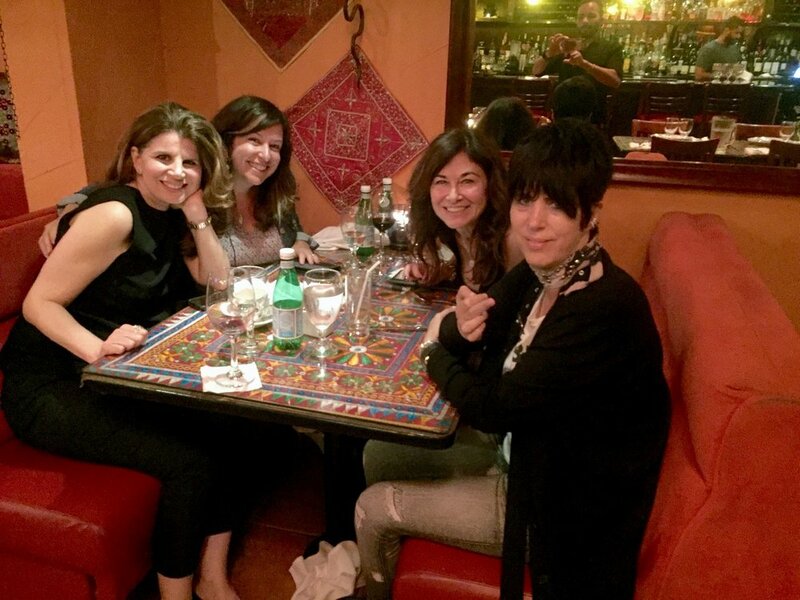 How would we ever get a hit when Diane Warren was waiting in the wings? She wouldn’t go away. The Songwriter Terminator. Couldn’t she just once take a very long vacation? A valium? We used to joke about arranging a kidnapping…just so we could have a crumb once in a while. So a few weeks ago, in the comfort of my more mature skin, I invited Diane to dinner. Why not? Life gets one day shorter every day. And after all, I’m interested in songwriters. SONA’s Michelle Lewis joined us as well as a new friend of SONA, banker and new favorite galpal Denise Colletta, who is a DW super fan. In a booth at Electric Karma we discussed cats, food, Trump, vibrators, Bad SongSex, The Handmaid’s Tale, the new Taylor Swift songs, the sweet revenge of “Praying,” AND…the inequities of how songwriters are being paid in a digital economy. She wasn’t so up to speed on that. But she is now :). Regardless of the flip, Denise said she felt like a teenager that could now cross ‘meeting Diane Warren’ off of her bucket list. Diane’s won a Grammy an Emmy a Golden Globe, but never an Oscar. That could change soon. She recently wrote the moving “Stand Up For Something” performed by Andra Day, for the movie Marshall, coming out in October. I relate to Diane. She’s a girl with goals like me. It’s just that her goals are way more far reaching. Maybe that’s because she has more hutzpah. She wants the win. I’d settle for a nom. And speaking of nominations…anyone who’s a voting member of Naras, please consider voting for the Audio Book version of “Confessions of a Serial Songwriter” in the Spoken Word category in your 2018 Grammy Awards Entry List ballot (coming soon) so I can make the final cut. :) See—I’m cringing that I did that. Diane wouldn’t. Anyway, as my beloved Carly Simon wrote, “There’s Always Someone Haunting Someone.” In any profession there’s a someone that must be reckoned with. That someone makes us better simply by the virtue of us always having to catch up with them. For me, that someone was, still is, Diane. I know I’ll never catch up. But that’s Ok. There’s been enough room for me. And…she definitely made me better. So, thank you, Diane— for your lifetime contribution of songs we’ll never forget. And for a really fun night out. May 2018 be your Oscar year.